We love that some are calling it the best musical of the season. 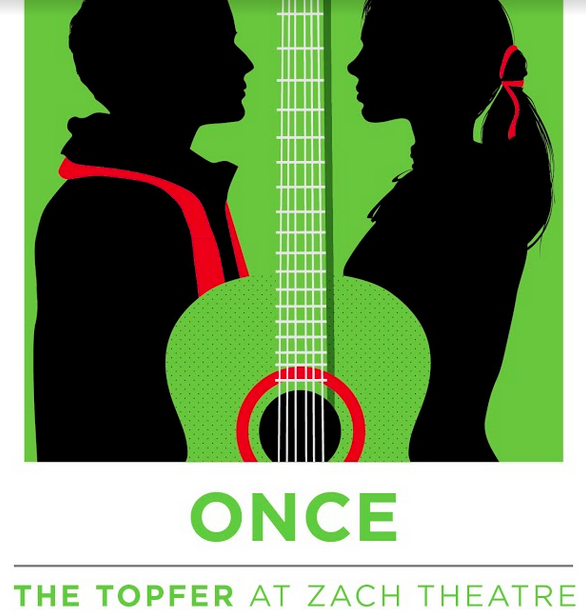 Based on the 2007 Academy Award®-winning film, Once is an enchanting, modern love story about the complexities of relationships and the power of music to connect us all. The musical tells the story of an Irish musician and a Czech immigrant drawn together by their shared love of music. Speaking to Austin's robust live music roots, ZACH's Topfer lobby will transform into an Irish pub, creating an immersive experience from start to finish. With music and lyrics by Glen Hansard and Markéta Irglová, and book by Enda Walsh, audiences will fall for this unexpected romance that features a talented ensemble of actor/musicians who play their own instruments on stage. Their unexpected friendship and collaboration evolves into a powerful but complicated romance, heightened by the raw emotion of the songs they create together. Winner of 8 Tony Awards® including Best Musical, this unique theatrical experience, with breathtaking melodies by Glen Hansard of the Irish band The Frames, will have you falling in love from the very first note. Directed by ZACH Producing Artistic Director Dave Steakley with musical direction by Allen Robertson, scenic design by Donald Eastman and choreography by Cassie Abate, Once will play The Topfer at ZACH Theatre, September 19 – October 28, 2018.